Recently, the United States Citizenship and Immigration Services (USCIS) issued two policy memoranda significantly changing how the agency processes and adjudicates immigration applications and determines who is placed in the removal proceedings (often referred to as deportation proceedings). The June 28, 2018, USCIS memorandum, titled “Updated Guidance for the Referral of Cases and Issuances of Notice to Appear (NTA) in Cases Involving Inadmissible and Deportable Aliens”, gives USCIS officers the ability to issue NTAs for a wider range of cases. On July 13, 2018, USCIS issued a second policy memorandum, “Issuance of Certain RFEs and NOIDs”, which allows USCIS officers discretion to deny an immigration application or petition without first issuing a Request for Evidence (“RFE”) or Notice of Intent to Deny (“NOID”). While both memoranda are not directly related, it should be noted that based on the language of the June 28 and July 13 memoranda, denials of immigration petitions or applications could result in the issuance of an NTA to a foreign national. On June 28, 2018, the USCIS issued a policy guidance for referring cases and issuing notices to foreign nationals to appear in Immigration Court. These notices, which are called “Notice to Appear” or an “NTA”, which is similar to a criminal charging document, begins removal proceedings against a foreign national. USCIS adjudicators will issue an NTA in all national security cases, including cases where in the judgment of a USCIS officer, the foreign national poses a risk to national security. NTAs will be issued in cases where the issuance of the NTA is required by statute or regulations. In matters where there is an evidence in the record of fraud, misrepresentation or abuse of public benefits programs and the foreign national is removable, USCIS adjudicators will issue an NTA upon denial of the immigration application. Foreign nationals convicted of, or charged with, or those whose criminal offense have not yet been resolved or those who have committed acts that constitute a chargeable criminal offense, will be issued an NTA. Cases in which, upon denial of an application, the foreign national no longer has lawful status will be issued an NTA. On July 13, 2018, USCIS, in an effort to discourage frivolous or substantially incomplete filings used as “placeholder” filings and encourage applicants to be diligent in submitting required evidence, issued a policy memorandum providing guidance to USCIS adjudicators regarding discretion to deny an immigration application without first issuing a RFE or NOID. The July 13 memorandum, applies to all immigration applications filed with USCIS on or after September 11, 2018. Immigration applications where the applicant has no legal basis for the benefit sought or requested will be denied without requiring the officer to first issue a RFE or NOID. 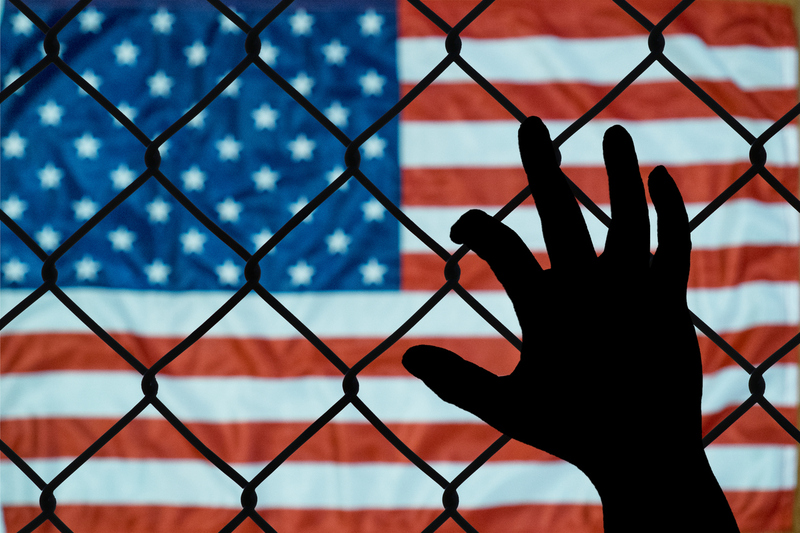 For example, immigration cases where the applicant is required to show extreme hardship to a qualifying relative, but the applicant is claiming extreme hardship to someone else and there is no evidence of the qualifying relative will be denied. USCIS adjudicators may deny applications submitted for processing if all the required initial evidence is not submitted with the application. What Does This Mean for Applicants and Their Lawyers? Discuss with the applicant the risk of filing any application with USCIS and the inherent risk of being placed into removal proceedings if the application is denied and the applicant has no lawful status to fall back on. Edward Neufville advises individuals and companies on U.S. Immigration Law matters. His firm, Law Office of Edward W. Neufville, III, LLC, is based in Silver Spring, Maryland.